And, if you enjoy my recipes I have published my own cookbook! There is a print or an ebook version. You can check that out HERE. Can a snack be good for you? 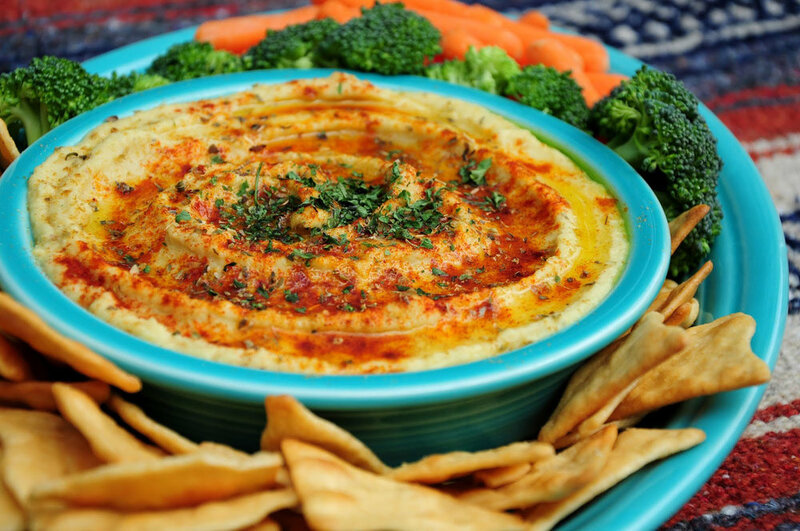 What about a snack that’s a creamy dip for chips and veggies that packs in tons of fiber, protein, iron, antioxidants, and helps regulate blood sugar. Does such a healthy snack really exist? It does and it is super easy to make. I think you all are beginning to see a pattern to my recipes here. What I’m talking about is hummus. With the arrival of summer it's time for simple recipes in my part of the world. I don't know about you but I am not interested in slaving over a hot stove when it's triple digits outside. This recipe is a great change of pace if you're wanting something a little different and the left overs were awesome too! Served with a little rice and steamed broccoli this is a quick, light meal and you probably already have everything you need to make it. So let's get cooking. I hate I didn't get this out any sooner, it's one of my go to recipes when my husband says we've been invited to a party and need to take an appetizer. I'm sure though there are still a couple of football/family/New Year functions that will be attended and if not I'm guilty of making these and eating them for breakfast during the week. Super simple and a lot less trouble than traditional sausage balls these drop biscuits are delicious and oh so easy. Finally a COMPLETE LIST OF my recipes - CLICK ON EACH TITLE TO BE TAKEN DIRECTLY TO THE ENTRY! MOST WILL GO BACK TO MY HICKORY RIDGE STUDIO BLOG AT THIS TIME. THANKS!